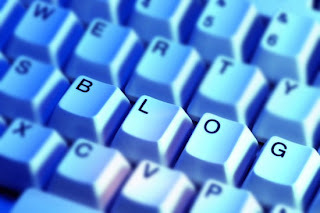 Because I want to be considered a full-fledged blogger, I am now thinking of conquering the Alexa Traffic Rank and the Google PageRank -- these are two methods of evaluating a website's importance in the online world. Currently, my Alexa Traffic Rank is 2,443,794. About a month ago, it was approximately 5,330,000. Less traffic rank means better performance of the site; hence, my goal now is to reduce this figure to 1 million and possibly to a 6-digit figure. How will I do it? There's a simple trick that other bloggers are doing. I might as well implement it here; hence, beginning today, I will place the Alexa Widget on my sidebar. Meanwhile, this site's (http://warayblogger.blogspot.com) Google PageRank is 0/10. Considering that this is only the third month that I am writing for this site, a "0" is much better than an N/A. Getting a "0" PageRank simply means my site has been noticed or indexed by Google. After my Triond profile left the "0" mark on June 27, I saw a glimmer of hope for Online Writing Ideas. Putting content to this site is what I should be working on at this point. A site with less than 20 posts will never be ranked well by Google (and by Alexa). My Triond profile has now a Google PR of 2/10 and an Alexa Traffic Rank of 5,658. With hard work, I'm sure I will also be able to improve this site's ratings. In June, three editorial staff members of The Tiller - that's the name of our high school paper - and I attended a Camp Blog at Visayas State University, Baybay City, Leyte. One of the outputs we made was a photo story of Baybay's dry market section. 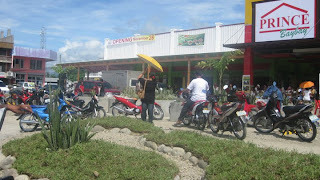 We were at the pubic market on June 24 from 3:00 to 5:00 P.M. where we took photographs of the area assigned to us. With us and the other participants were the Camp Blog facilitators and Mr. Jimmy Domingo, a photojournalist and our resource person for that activity. This photo story is a product of long discussions and brainstorming among the group members and Mr. Domingo, but we give the biggest credit to Miguel Albert Taveros, The Tiller's Editor-in-Chief and layout artist for bringing to life our ideas through this output because of his knowledge of Adobe movie-maker.